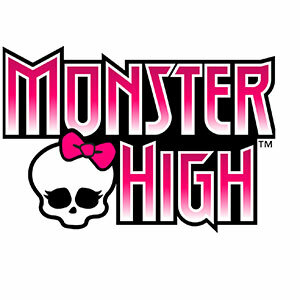 Amp up the fun with the Monster High Electrified Monstrous Hair Ghouls Twyla Doll which has monstrous hair, seven scary cute accessories and a beastie friend figure for hair-raising fun. Bolting off the movie screen in bold colors, bright makeup and super-charged hairstyles, these ghouls are ready to chase their dreams and light up the world -- and do it all with fabulous hair! Use the accessories to create clawesome looks, take them down and start again. Twyla™ doll has voltageous purple and blue crimped hair that’s fierce fun to style. Six hair accessories from clips to colorful hair extensions, to hair ties that have iconic shapes and neon colors to add to the styling fun. Twyla™ doll wears a stunning dress with a multi-colored graphic print and neon jelly accessories, including blue shoes and a pink dreamcatcher-inspired collar. Recreate a hairstyle from the movie or spark up your imagination with lively looks of your own, then take it down, comb it out and start again!